New foreclosure starts are at their lowest level since 2005, three years before the crisis. While foreclosure-related metrics are down, which default-related categories experienced seasonal increases in November? The news was all good on the delinquency front for October 2015 as all related metrics continued steep declines. 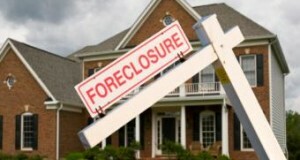 The current data for foreclosures and mortgage delinquencies shows significant improvement compared to data from five years ago, the universally accepted peak of the mortgage crisis, according to HOPE NOW, a private sector alliance of mortgage servicers, investors, mortgage insurers, and non-profit counselors. The delinquency rate, which includes residential homes that are 30 days or more overdue on mortgage payments but not in foreclosure, tumbled by 18 percent year-over-year in August down to 4.83 percent, the largest over-the-year decline since May 2011, according to Black Knight. The delinquency rate (percentage of properties 30 days or more overdue but not in foreclosure) dropped by 16 percent year-over-year down to 4.71 percent, nearly reaching its lowest point since the crisis. That share of 4.71 delinquent properties represents about 2.39 million loans nationwide. The number of properties in foreclosure pre-sale inventory dropped by 24 percent year-over-year in July down to 711,000.